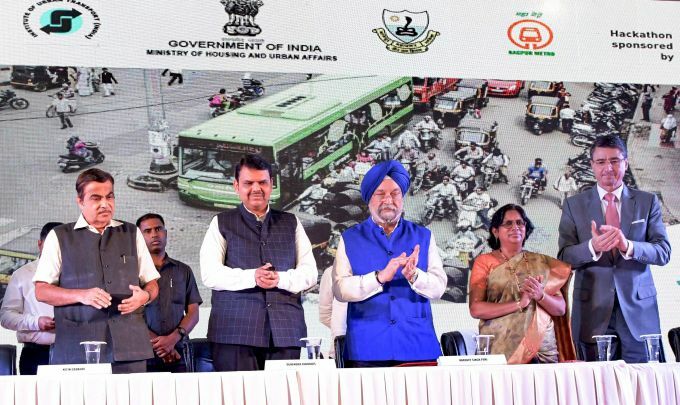 Nagpur: Union Minister Nitin Gadkari, Maharashtra Chief Minister Devendra Fadnavis, Union Housing, Urban Affairs (I/C) Hardeep S Puri and Ambassador of France Alexander Ziegler during the inauguration of 11th Urban Mobility India 2018, in Nagpur, Friday, Nov 02, 2018. 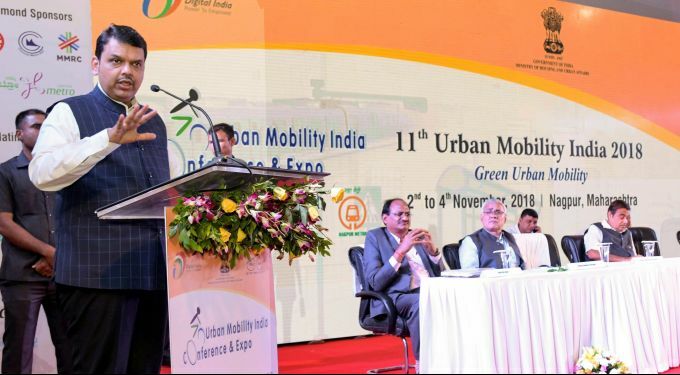 Nagpur: Maharashtra Chief Minister Devendra Fadnavis addresses during the '11th Urban Mobility India 2018', in Nagpur, Friday, Nov 02, 2018. 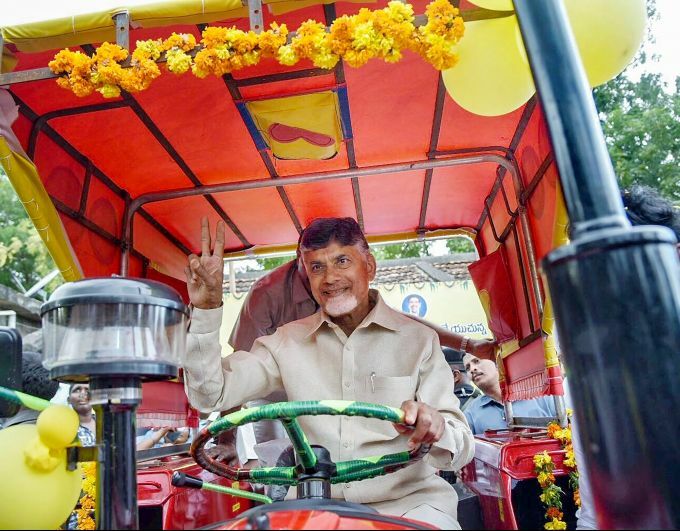 Hrdearabad: AP Chief Minister N Chandrababu Naidu poses as he sits on a tractor while participating in Grama Darsini and Public meeting in Hyderabad, Friday, Nov 2, 2018. 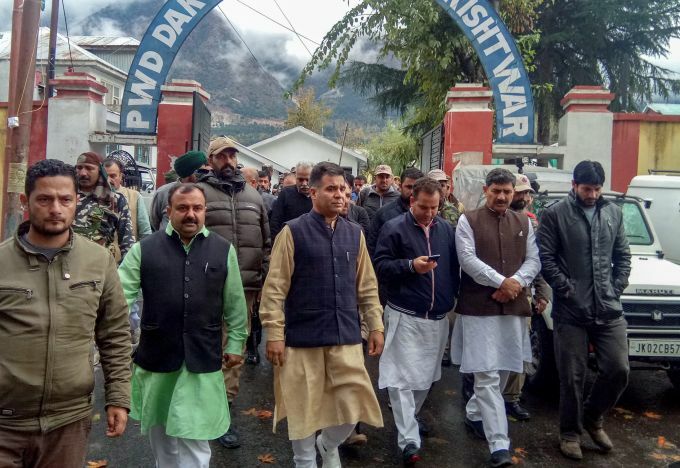 Jammu: Bharatiya Janata Party (BJP) State President Ravinder Raina arrives to attend the cremation of BJP state secretary Anil Parihar (52) and his brother Ajeet (55), who were killed by the militants while they were returning to their Kishtwar home yesterday, in Jammu, Friday, Nov 02, 2018. 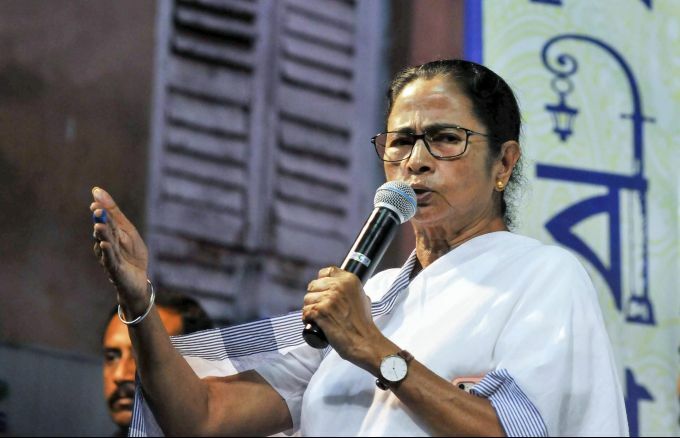 Kolkata: West Bengal Chief Minister Mamata Banerjee addresses the gathering during the inauguration of Goddess Kali Puja, ahead Kali Puja festival, in Kolkata, Friday, Nov 2, 2018. 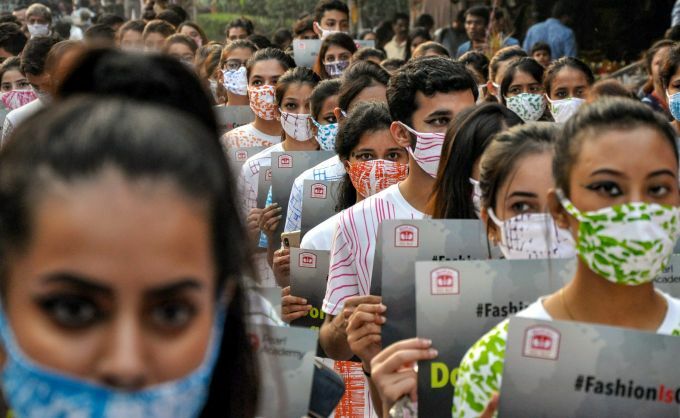 New Delhi: Students of a fashion institute hold placards during a rally against air pollution 'Be a Part of the Solution Not a part of Pollution', at Dilli Haat, in New Delhi, Friday, Nov 02, 2018.